When the TV toy commercials heat up it's time to think Christmas shopping. if you are looking for presents 5 year old girls have on their their wish list, here are some great clues curated from some of these commercials and kid shows. Best of all, they are the ones my own 5 year old granddaughter has on her Christmas wish list. They make great toys for a 5 year old girl any time of the year and are perfect for Birthday gifts or any other occasion as well. These dolls were high on Logan’s wish list and have already been purchased for her. They belong to a series called Barbie Looks. They are very glamorous dolls. Lo loves clothes and dressing up and these Barbie dolls reflect her tastes. 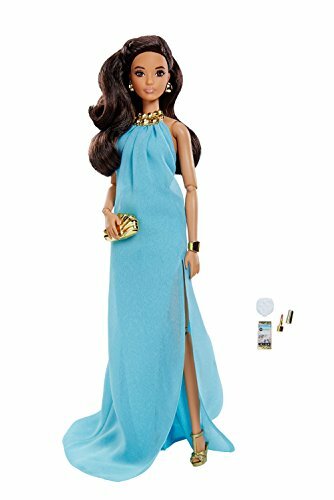 The dolls she chose are: Glam Party, Pool Chic, Park Pretty and Barbie Boho. With all those Barbie dolls kids have in addition to the ones of a similar size, when I saw this organizer I thought it was the perfect solution to storing and moving the dolls and their accessories. Its dimensions are 18.7 x 18.1 x 13.7 inches. Its made of a sturdy material with an easy to grasp handle for pulling about. Best of all it holds a lot! There is a very roomy main compartment that will hold 15 dolls or more with room to spare for other items. The compartment in the lid organizes and stores smaller items like Barbie's clothes and shoes. 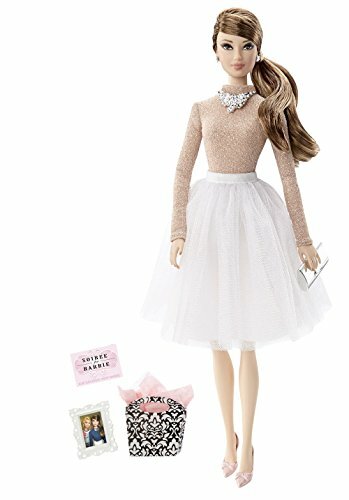 This would make a unique and great gift for girls who have Barbie dolls on their wish list. OK. These are new to me. I had not heard of them until Logan pointed them out. They tie in well with the other mystery mini- blind bag figures she collects and has become so fond of. This mini surprise craze runs the gamut from Shopkins to Disney Princesses. The Barbie mystery mini figures are from the Funko Pop Culture vinyl figures collections. The figures are characterized by large, square shaped heads. Since they are all “mysteries” little girls like to have several because they don’t know which ones they will get until the box is opened. (show Logan’s box). 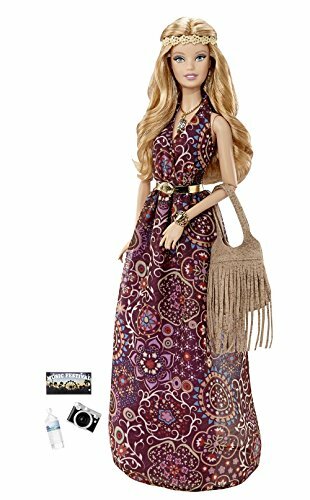 Minifures are popular and of course Barbie is, too, so this is a great combination for girls. They are also very cheap and Amazon has excellent deals on the sets. Project MC2 dolls have also caught her attention from the hit TV show of the same name. The characters solve mysteries and conduct fun experiments. This cute pink purse has the ultimate disguised spy kit hiding behind it and lets little girls work along side the popular Project MC2 dolls. The dolls are super smart detectives who conduct their own experiments and the bag is modeled after the character Adrienne uses in the Netflix Project MC2 series. The series highlights the educational STEM concept which promotes learning Science Technology and Math in fun settings. Shopkins toys have been a favorite of Logan’s for a couple of years now. These are little miniature playsets and mini figures centered around shopping and foods. Most kids like smoothies so it’s no surprise they would want to play with this combo smoothie truck. The set includes the smoothie truck with two seats as well as Pineapple Lily shopkins doll, blender for making Shopkins smoothies and Shopkins food. More things mini. The Num Noms franchise is becoming as popular as Shopkins. Kids really like mini figures and playsets. I watch Logan playing with hers and I can see how easy these toys are to hold and carry around. It’s like having the ability to pretend play wherever you go. The Num Noms Lipgloss Ice Cream Truck is quite cute.The set actually lets the child make real flavored lipgloss that she can wear. Place the included ingredients in the dispenser and churn it out like ice cream into a “sundae” dish or “ice cream cones.” This set should please little girls as young as 3 years old. You can find more presents for 5 year old girls by clicking here. ﻿﻿These are toys Logan already has or has wished for in the past. Here's a helpful tip: Use Amazon's Shopping Cart to create an idea or Wish List. Click on any Picture or Link to a product on this site and you will be taken to Amazon. Next click on Amazon's "Add to Cart" button to add the product. From here you can quickly and easily add, edit and delete as often as you like. This is a feature I find very helpful as I gather ideas for purchase. Is there anything else I can help you find? Try the free search tool below for more ideas.